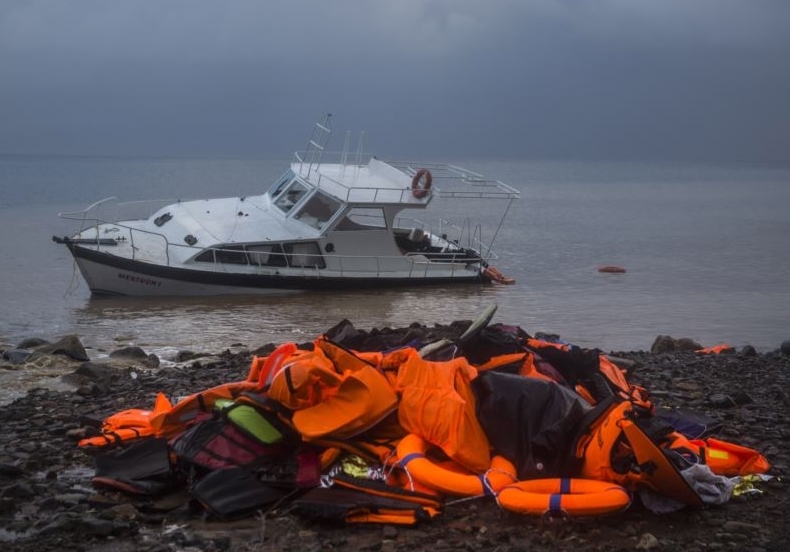 Sixteen people, including at least five children, drowned earlier on Saturday when the small boat they were travelling on capsized near the island of Agathonisi, in eastern Aegean Sea. The nationality of the victims was not immediately known. The incident was thought to be the highest death toll of migrants trying to reach outlying Greek islands for months. Three people — two women and a man — managed to reach the coast and alert authorities to the boat sinking. The three told authorities they had been in a wooden boat carrying an estimated 21 people which sank, for reasons that were not immediately clear. The rescue operation is still ongoing. "The new shipwreck in Agathonisi, with the dead refugees, immigrants and children, shows that the tragedy of the uprooted victims of imperialist barbarity has no end. Neither the increasingly sophisticated repression measures in the borders nor, of course, the unacceptable agreement between EU-Greece-Turkey, which was signed by the current government two years ago, cannot prevent desperate people from falling into the clutches of ruthless traffickers in order to escape from imperialist war and misery. Now, when the competitions are "through the roof", when the clouds of Greece's direct engagement in war have become dangerously dense, now it is necessary for the strengthening of the struggle of the people, of all people, of refugees and migrants against the system that produces exploitation and wars, dead people in the battles but also in the sea or land routes of refugees".